The second teaser trailer for Star Wars: The Force Awakens opened with a haunting shot of a desert slowly reclaiming a downed Star Destroyer. 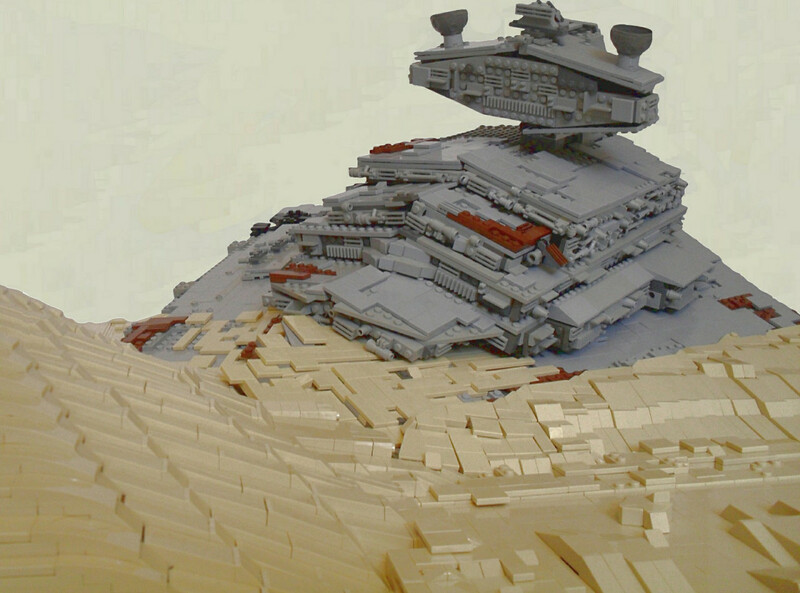 Lego builder KevFett2011 has brilliantly captured the scene with this 12,000 piece LEGO diorama. I can't believe one person owned that many tan LEGO blocks.